My neighbor just spotted the Anti-Cruelty Society van again outside the hoarder/drug house of the indoor Stealers Wheel Colony. It sounds like they may be closer to getting all of the animals out of there. I will share the news if that happens. It’s been over a year since I was told about this house and tried to help, but I’m always hoping we are getting closer to a resolution. This same neighbor has been reporting this house for years to the alderman because of the number of animals inside, the filthy condition it is in, and the fact that it appears there are drugs there as well. A few months ago she saw the “owners” of these cats giving away kittens outside. I once again called Anti-Cruelty Society, Chicago Animal Care and Control, and Cook County Animal and Rabies Control. The last time I was inside it was hard to keep track of the cats. They swarmed the food. 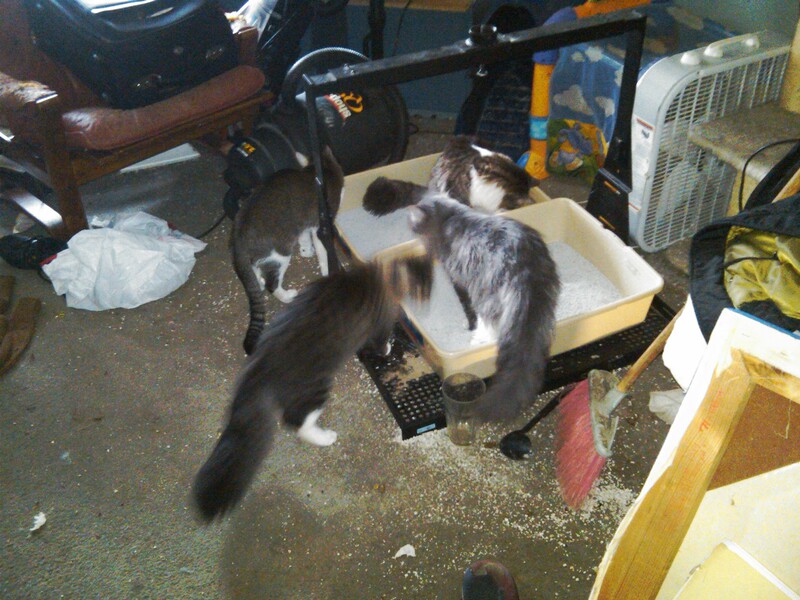 They swarmed the new litter boxes we brought. This is what the original litter boxes looked like. 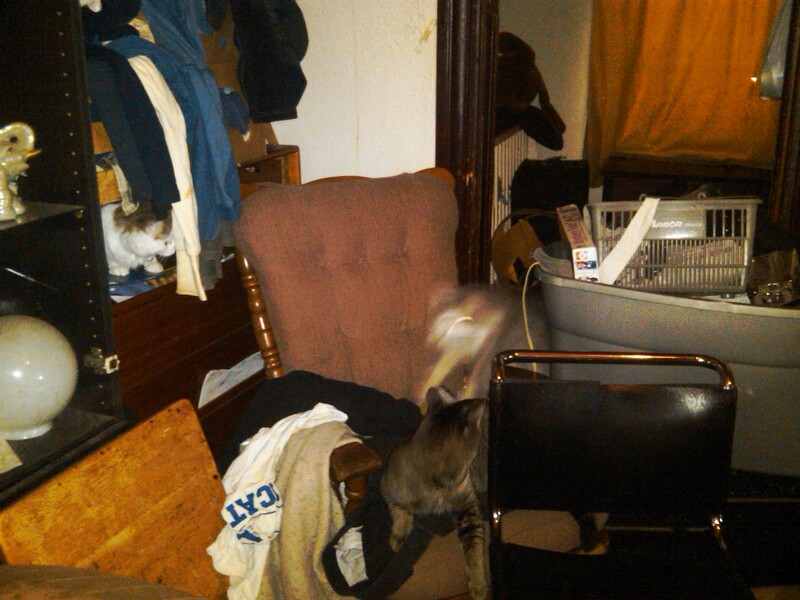 So there was also feces all over the floor, even though the cats still tried to use the boxes. I counted sixteen cats, two birds, and one chihuahua, but I also could not get into three of the rooms because the doorways were blocked. The cats could go in and out of them so it was possible there were even more cats hiding from me. Last year my neighbor Kim and I managed to TNReturn eight of the cats at Anti-Cruelty Society and using vouchers at PAWS Chicago’s low-cost vet clinics. 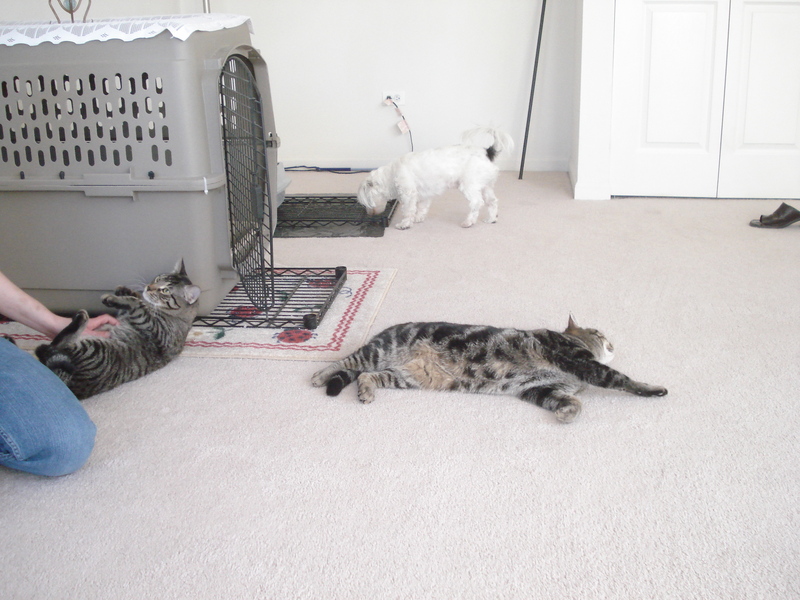 Kim also ended up having to foster and adopt out two of the cats. 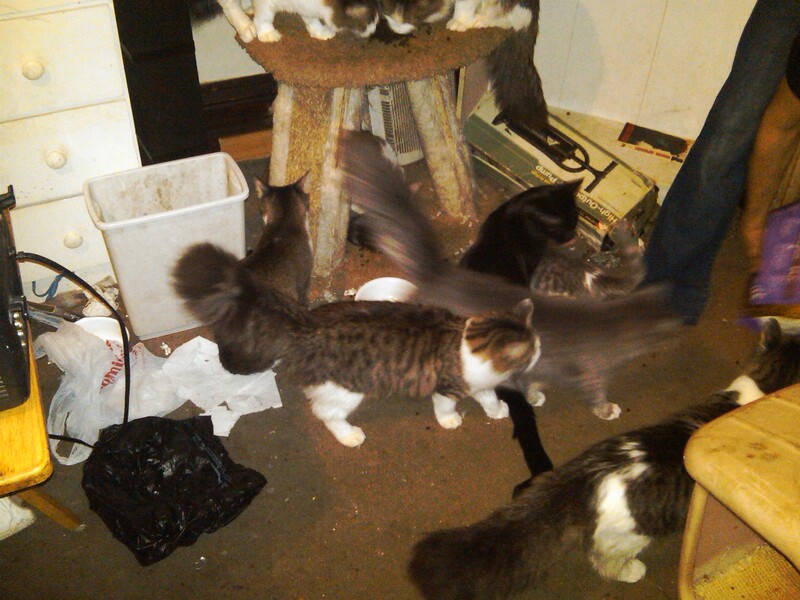 Once these cats were out of that house you could see they were friendly and adoptable. We had to stop rescue efforts because the “owners” started arguing with us and the situation got dangerous. If nothing transpires soon, I’ll keep calling everywhere again. Once the animals are out then maybe someday the people there can also get the help they need. In the meantime I’m hoping for a holiday miracle! Can you give us an update about this hoarder case? Are you able to get all the cats out of that house now?